Can connected crops help tame the looming food shortage crisis? There is a crisis looming in our food supply chain: as the population continues to grow and we live longer, will there be enough food to go around? 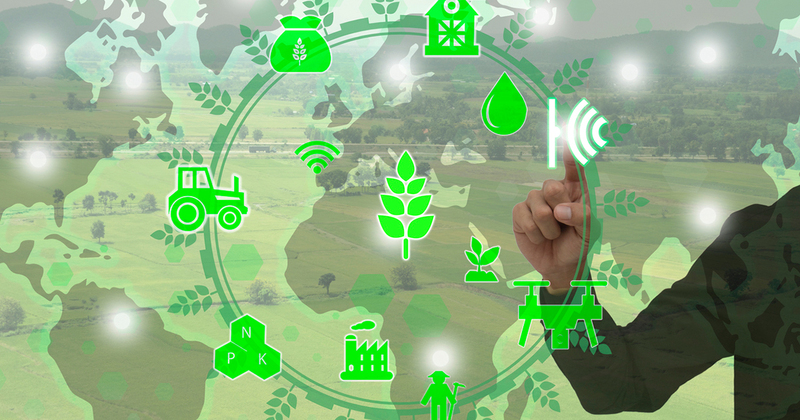 Research suggests that by 2050 we need to double crop production to feed everyone, could Internet of Things (IoT) technology help us get this right and change the way we manage our food supplies for a better sustainable future? I love the outdoors and the idea of a nice garden. I've always wanted to grow my own food but I don’t know my Poaceae from my Triticum aestivum. However in my continuing research about IoT, where connected devices with sensors collect and send lots of data somewhere, I am getting a sneaky feeling I need to start learning and soon. By 2050 there may not be enough food for everyone and we need to make some serious changes to how we manage our food supplies. Satellite imagery has been in use for some time now to track land use and land coverfrom wasteland to crops. This is great for the big picture but not so great for detail. We now have drones that can fly over crops collecting data in the form of thermal imagery to detect dry areas and pest infestations. This is excellent for providing more details but it requires scheduled runs and additional skillsets. How do we know what's going on under the very soil that’s so vital for growing things? Introducing mesur.io: a fascinating start-up that is fundamentally changing the way the world measures and interacts with environmental data. Mesur.io have developed their own connected “bulb” which you can plant in the soil and immediately start seeing data such as light levels, soil moisture, ground temperature and much more to help growers grow in so many ways. IoT technology can help us to grow the right crops in the right places by using satellite data from space. Companies like mesur.io can help growers increase growing efficiency and minimize feed and water wastage using in-the-ground sensor data, combined with weather, location and light data, even integrating with irrigation and feed supply systems to automate processes. The final part of distributing the food goods can be optimized via GeoAnalytics using geospatial data to match growing, storage and packing locations with demand to minimize the food supplies time in transit and therefore keep food fresher at point of delivery, ultimately reducing wastage of spoiled goods. So there is hope, and I am thinking about using a mesur.io bulb in my garden. We should all start making changes because my tiny patch sure ain’t gonna feed the world, can you dig it? Want more ways to get up to speed on IoT? Check out our webinar with Forrester VP and Principal Analyst Frank Gillett.